Please note in advance that information on the light up calendar may be changed without notice due to circumstances. 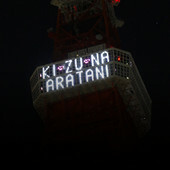 The lights are normally lit from dusk until midnight. 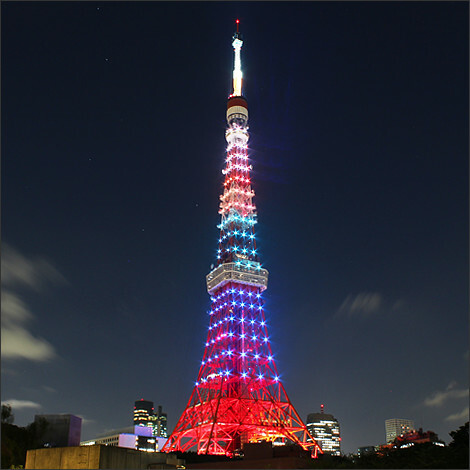 *While we turn off the Tokyo Tower lights at midnight, we will leave the lights on until dawn from Monday, September 5th, 2016, depending on the circumstances. Please take a look at here as well. 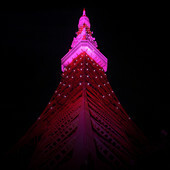 Tokyo Tower's Landmark Light is lit up with 180 light bulbs. 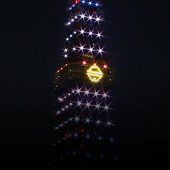 "Landmark Light" has two patterns: a "winter version" and a "summer version. "The orange lighting that everyone knows is the so-called "winter version. "This winter version is used for around 9 of the 12 months in a year. 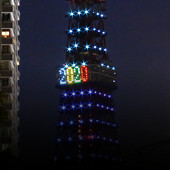 The remaining 3 months use the summer version. 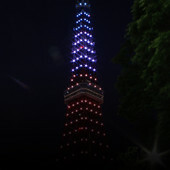 Tokyo Tower's Landmark Light "changes its clothes" for the season. The summer Landmark Light uses silver lights called "metal halide lamps," and their trait is a white tone with a refreshing and cool image. 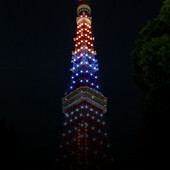 Every year on July 7th, from the night of Tanabata, the lighting changes to the summer-type. 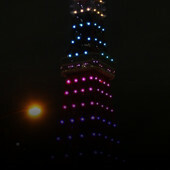 The winter Landmark Light brightens up the transparent winter air even more with orange lights called "high-pressure sodium lamps." Every year from the night of October 2nd the lighting changes to the winter-type. 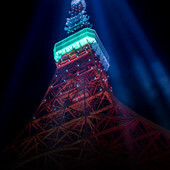 Total of 276 lights shine outwards from the Tokyo Tower. 17 layers of light may each change into 7 different colors. Diamond Veil is lit only on Saturdays during the two hours between 20:00 through 22:00. 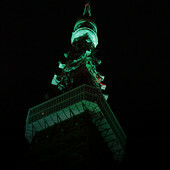 At Tokyo Tower the lights sometimes change to different colors for events and promotions. 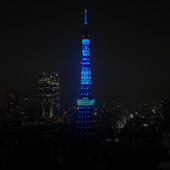 Tokyo wins to host 2020 Olympic!